White, dark green and light green sea glass wrapped in artistic wire individually attached to a wired bracelet and some aventurine chips. Has a silver clam lock. Because silver get dark over time, please use a special cloth to clean silver jewelry. This bracelet is perfect for any day wear or a special occasion. 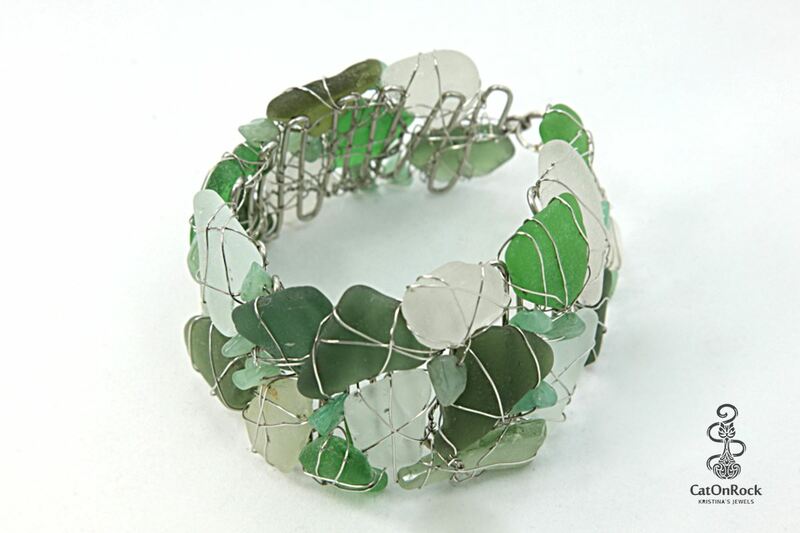 All of my jewelry is made using a sea glass from Barbados. Size: 10"